Ummmmm, hey, uh, you know how when you talk you kind of say "um" or "uh" a lot? Don't feel bad about about it because, like, everybody does it, but as it turns out, some people say "uh" more and others rely more heavily on "um." And the difference in preference is more than likely regional. 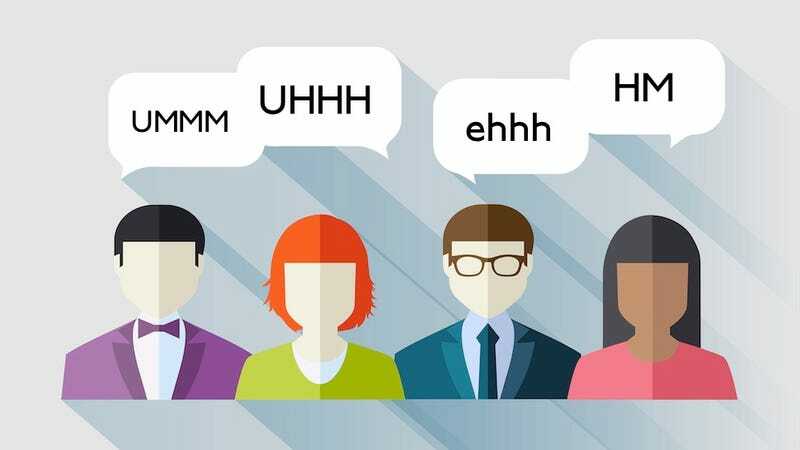 Forensic linguist Jack Grieve recently conducted a study using Twitter to find out what — if anything — determined the "um" or "uh" in a person's speech. The regional breakdown is clear... Grieve said the use of "um" looks to follow the elusive "Midland dialect," which linguists have suspected follows the Ohio River southwest from central Pennsylvania. That accounts for most of the blue that sweeps from West Virginia all the way to Arizona. Grieve said the "uh" and "um" analysis is the first time his research has shown clear evidence of the Midland dialect. The map also shows that usage on the west coast is harder to pin down. The purplish color leans toward "um" in most of California, aside from the Bay Area, but there is no clear winner west of Arizona. Geography is not the only possible answer to the "um" versus "uh" mystery. Earlier research by Lieberman suggests that women use "um"more often than men. Also, using these in writing is much different than using them in, uh, person. People on Twitter, for example, often use it to express awkwardness or condescension. Quartz has created a beautiful, color-coded map to go with the research. Does that, uuuhhhhhm, seem accurate to you?